Between 7 March 2019 - 6 October 2019, visitors to the museum's Robert Guttmann Gallery can visit a new temporary exhibition by Jaroslav Róna (*1957), a renowned Czech sculptor and painter. 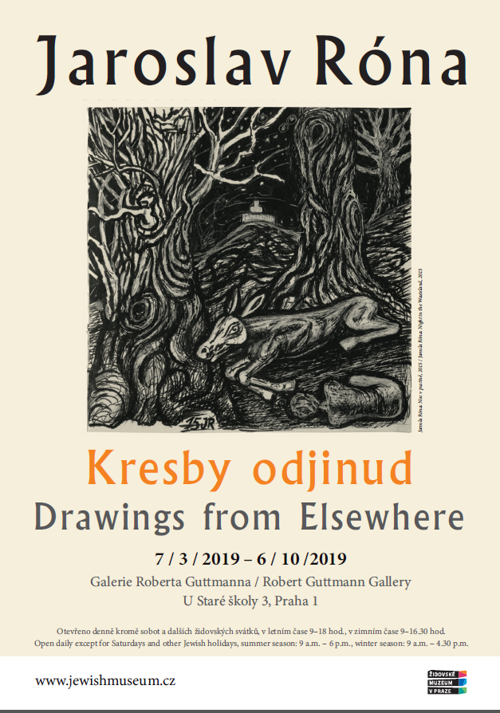 On show is a set of drawings from 2012-2018 which gives us an opportunity to delve more deeply into the artist's world. winter time 9 a.m. - 4.30 p.m., summer time 9 a.m. - 6 p.m.